This blog post has no keywords. But the other is because keywords don’t always matter. Not until you’ve earned the right to chase the big ones. Otherwise, the opportunity cost is too great. Here’s how you should flip the script, focusing on other stuff before coming back to them. Keywords are like The Battle of Somme: Lots of bloodshed, little return. 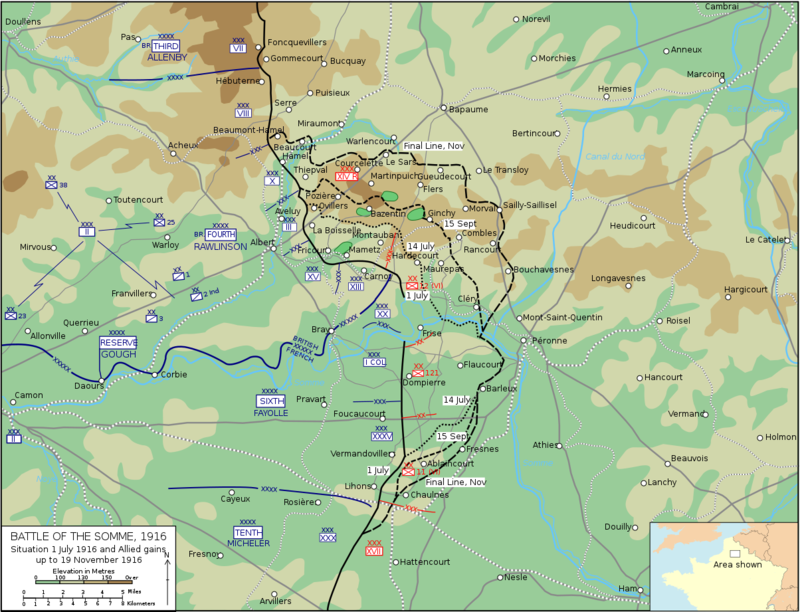 The Battle of the Somme in 1916 was a four-month slog between the British and French vs. the Germans. It’s known as one of the bloodiest battles ever because over a million people were injured (or worse). It was 141 days of bloodshed until it just… stopped. Weather worsened and fighting subsided. It basically ended as a stalemate, with the wounded German army retreating a bit. Some claim the event helped weaken German forces so that they’d eventually lose the war. However, on that day, all the British and French had to show for four months of terror was reclaiming a few extra miles of land. The best keywords are often like that, too. Ever-increasing competition, with only the top few getting something to show for it. And that means the way we go about chasing keywords needs to change, too. 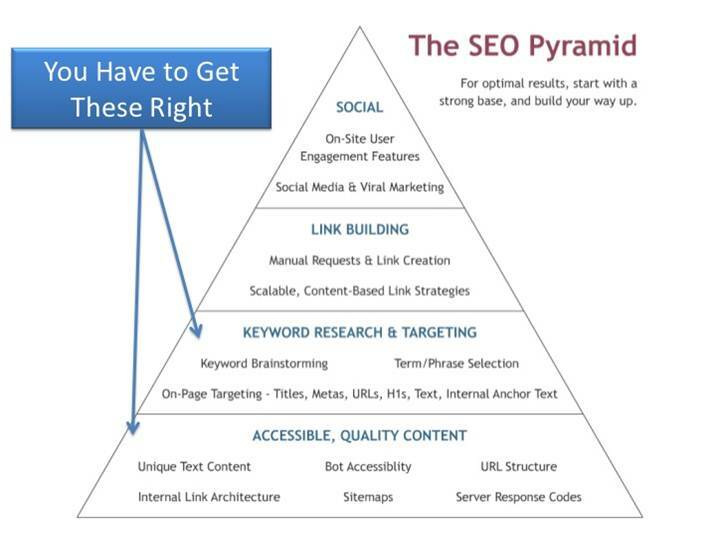 Back when Moz still had an “SEO” in front of it, Rand published the SEO Pyramid. It was kinda like an order of operations. Do this, then this, then this. You used to be able to start with quality content. You used to be able to progress with keyword research and targeting, leaving link building and social until last. SERPs are increasingly winner-take-all markets. Which means SEO is a zero-sum game. Millions battle for the same few, precious SERP slots. Someone wins at the other’s expense. All else being equal — excellent stuff going up against excellent stuff (not this crap from content writing services) — the tie breaker goes to the highest DA (as a proxy for overall strength). Moz, HubSpot, Search Engine Journal, Neil Patel, and Search Engine Land. You know what? Time to pack it in. Take your ball and go home. Because it’s going to require too much for too little. Let’s say you were suicidal, and decided to go after this keyphrase. What would you earn for your troubles? 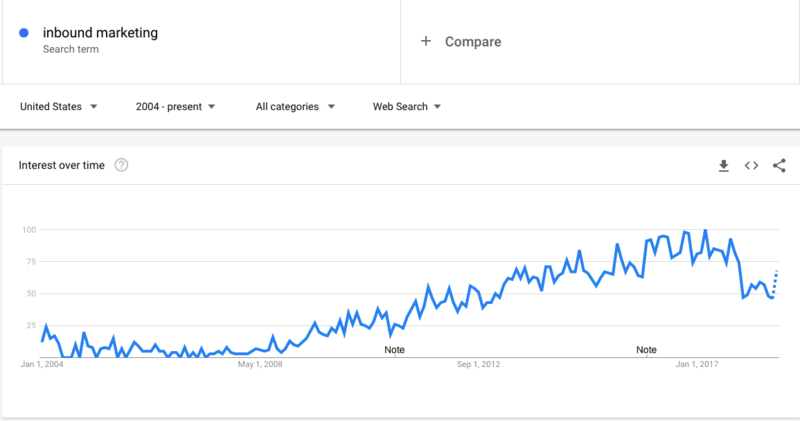 A measly ~50 monthly searches. If you’re lucky. And if you invest an inordinate amount of time. The problem is that you can’t compete the same way as you used to in 2005, either. Winner-take-all markets are like red oceans. And red oceans are increasingly lose-lose propositions. Instead, you need to do something different to compete. 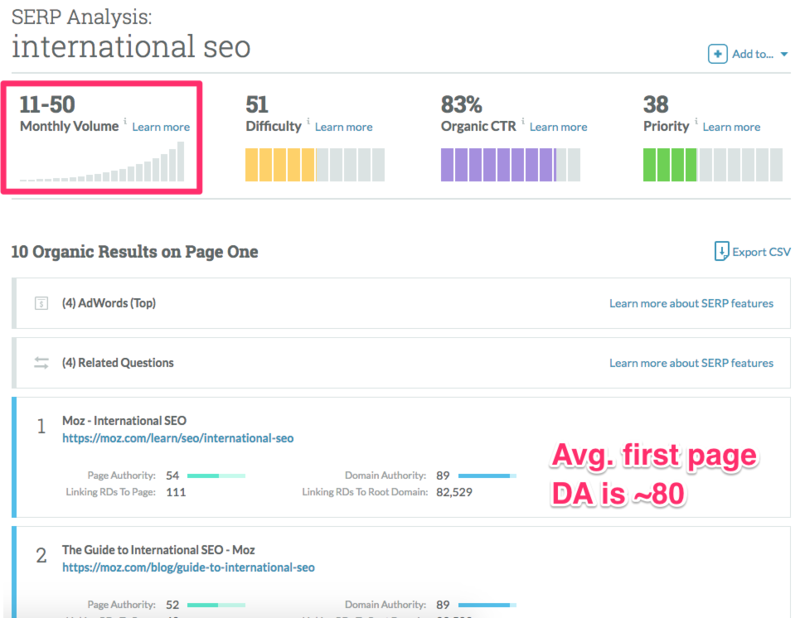 You need to raise that DA, first, before worrying about keyword-matching the competition. Here are two options to start with. Attention-grabbing? Sure. Obnoxious? Without a doubt. But these are just a few of the iconic lines that has helped propel Stone Brewing from a sleepy-San Diego upstart to dominating the global craft beer scene within two decades. The insufferably snobby on RateBeer and BeerAdvocate deem them “world class.” Their Escondido homebase is literally “the place to be if you’re a beer geek,” according to Zagat. And it’s visited by more people annually than almost any other local attraction. Including, you know, the place with freaking whales. Say what you want about them. But they just opened a second location in Berlin. Home of beer. Building a noteworthy brand is simple, but difficult. The mechanics are straightforward, but the execution is excruciating. Step #1: Deliver something special the marketplace hasn’t scene. Step #2: Live up to #1 consistently over a long period of time. Stone’s bold, mouth-wateringly-hoppy beer, coupled with a brash approach, helps them amplify the signal to noise. That’s not always the right approach. It’s probably not for you. But the fact is that people need to notice you, first, before they’ll buy from you. Which they’ll do a lot of, once you’re recognizable, according to multiple studies. ✅ First, Google prefers brands. ✅ Second, consumers prefer brands. People click on the stuff they recognize. And they buy from the ones they know. This brings us full circle. That “international SEO” SERP above? With the Mozs, HubSpots, Search Engine Journals, Neil Patels, and Search Engine Lands of the world? Yes, their DA’s are high. But more importantly, is their brand recognition. Boosting your brand > leads to a higher DA > which allows you to compete for more competitive keywords. Traditional SEO harvests demand. It doesn’t create it. 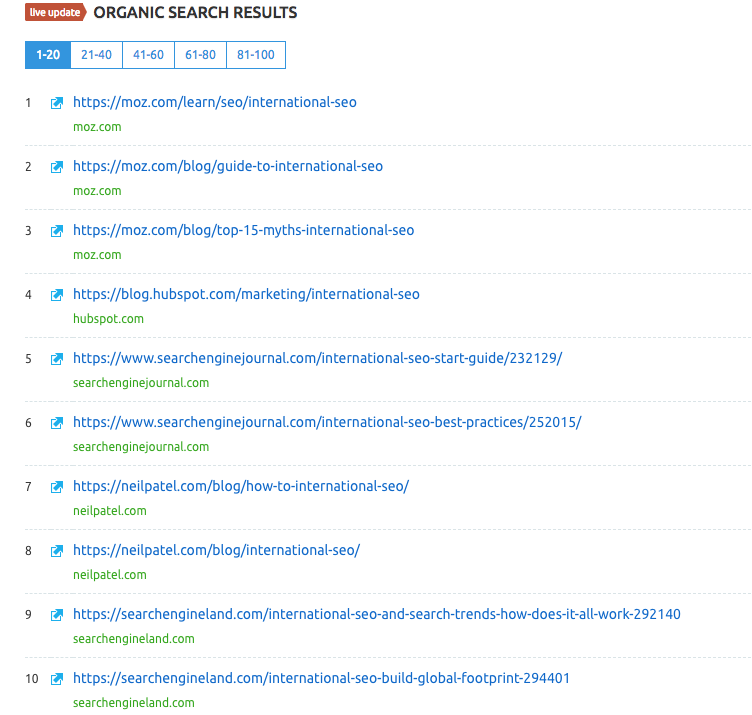 SEOs don’t chase ‘branded’ keywords with little-to-no search volume. The efforts are fruitless. By definition, no one is searching for it. Your SEO + content strategy typically zeros-in on problem-aware consumers. They now know they have a problem, and are motivated to start looking for solutions. The opposite, albeit difficult alternative is to create demand, first. Before people know what it is, or that they’re supposed to search for it. Demand creation targets the problem-unaware or unconscious. They have no idea they even need your widget… yet. That’s why almost all demand creation activities tend to be interruption-based. The annoying perfume hocker at the mall. Display, radio, billboard, and television ads. Demand creation ain’t for the weak of heart. But the upside can be worth it. Sure, their product is good. However, what sets them apart is demand creation. “Inbound marketing” didn’t even exist two decades ago. Today, HubSpot is the category-leader in a category they made up. That’s not an accident. 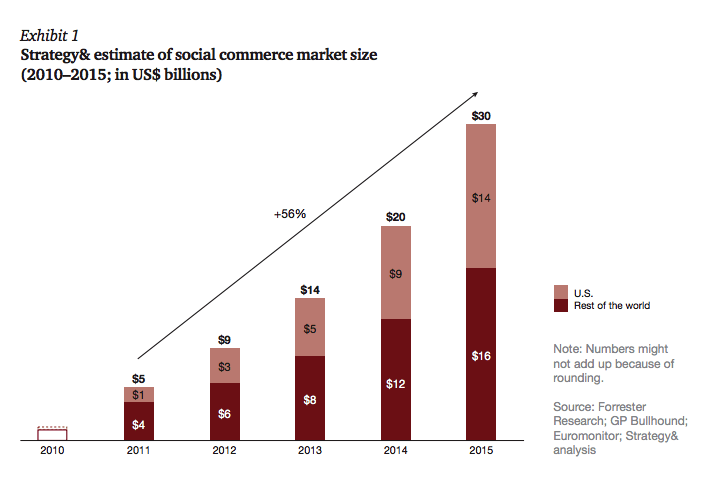 Similarly, social commerce wasn’t a thing ten years ago. Until early entrants like BazaarVoice and YotPo turned an idea into a multi-billion market that’s the leading way people ‘discover’ things online. Live chat has been around for over a decade. The problem is that it’s mostly sucked. All of the options were too slow, too static, too buggy. Not useful enough. Well, aren’t Drift and Intercom technically ‘live chat’ software? 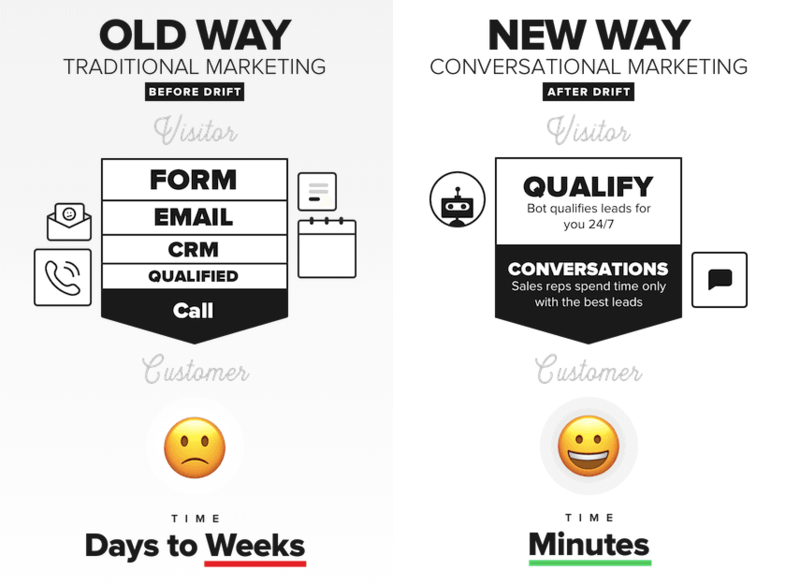 Drift is a “conversational marketing platform.” At least, that’s what their title tag says. And their using it to position themselves against legacy marketing tactics. Demand creation creates blue oceans, instead of red. It helps you avoid many of the very same problems that winner-take-all markets present. The drawback is that there’s often zero data to convince anyone to spend money on it. 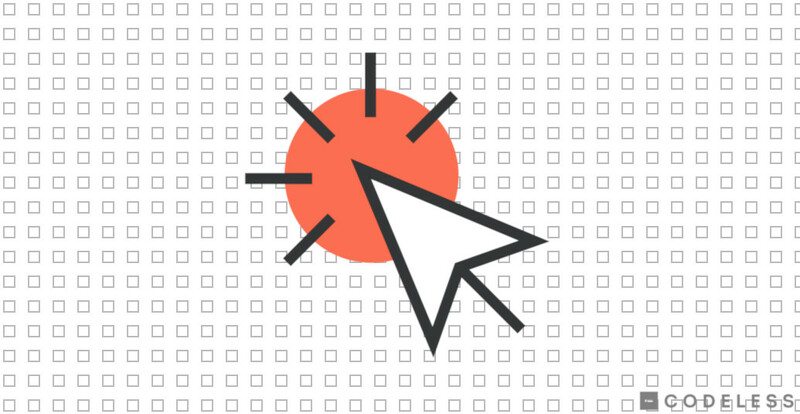 HubSpot had no clue a clever idea, “inbound,” would become INBOUND. And it’s even harder to justify afterward. Because there’s no straight line. There’s no AdWords chart that shows $X generated Y visits that turned into Z customers within the last 30 days. The good news is that demand creation doesn’t have to start big, either. A buck a day, spent well, can put you in front of hundreds of thousands each month. And it can be easier to increase bottom-of-the-funnel conversions by first increasing top-of-the-funnel ones. From there, it’s a long game. Keywords are important. But only if you’re able to compete for them. Otherwise, your priorities are off. The top SERP spots go to those with the best content and the highest authority. One of those is a quick fix (hire better people). However, the other is not. Instead, it’ll take months (and years) of conscious brand building. Plus, some demand creation while you’re at it. Because then you’ll no longer be forced to go head-on with the competition. You’ll just make them irrelevant.